Husqvarna on-road bikes join the unrivalled line-up of new motorcycles in Fowlers’ spectacular multi-franchise showrooms, bringing even more choice to bikers in and around Bristol. Husqvarna started producing motorcycles in Sweden in 1903, just 23 years before Fowlers first opened their shop in Bristol, and went on to specialise in off-road machines, winning their first motocross world title in 1959. The 11th official franchise at Fowlers, Husqvarna on-road bikes will be displayed in their own dedicated area. 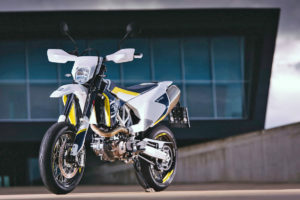 The 701 Enduro and Supermoto models are the first new Husqvarnas to arrive at Fowlers, both of which bring fresh design ideas that combine the latest off-road technology in a package for road riders to enjoy. 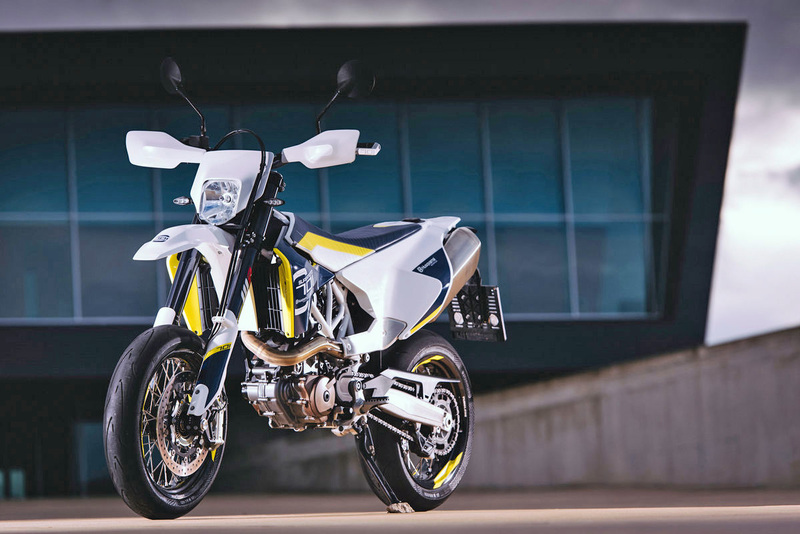 Weighing in at just 145 kg and with 74 hp on tap, controlled by advanced electronics and in a state-of-the-art chassis, the 701 Supermoto brings the pure riding essence of Supermoto to the street. Bred from decades of enduro world championship-winning pedigree, the 701 ENDURO combines high performance with Swedish functionality in a stylish and modern design, offering the ability to conquer urban environments and treacherous off-road terrain with equal composure. The 701s will be joined later in the year by the Vitpilen 401 (White Arrow) and Svartpilen 401 (Black Arrow). Delivering a new perspective on urban motorcycling, every single non-essential item has been stripped away, leaving an authentic, functional and simple riding experience, making motorcycling more accessible and inviting than ever before. Fowlers’ website is now fully loaded with Husqvarna parts, so customers will be able to buy genuine on-road spare parts either in-store, by phone or online. Fowlers is at 2-12 Bath Road, Bristol BS4 3DR, on Bristol’s A38 inner ring road and within a 5-minute walk of Temple Meads mainline railway station. Find out more by calling Fowlers on 0117 977 0466.